Welcome to the starting point for our annual Mayor’s Give A Day Week of Service (MGAD). Whether you give an hour, a day, donate blood, give food, clothing or simply help a neighbor, everyone can do something! Thanks for helping make Louisville the most caring and compassionate city in the world! Our community sincerely thanks the MGAD sponsors who make this special season of change and compassion possible! When Mayor Greg Fischer took office in 2011, he set three goals for Louisville focused on improving the core pillars of community life. He said we must become a city of lifelong learning, a healthier city, and a city of even greater compassion. 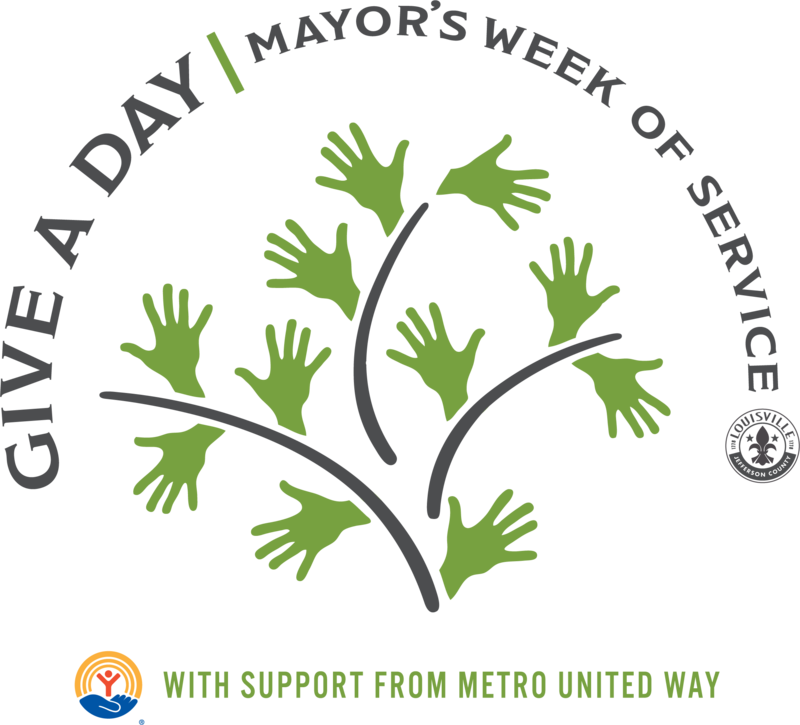 The Mayor’s Give A Day Week of Service (MGAD) — a partnership with Metro United Way — is the signature piece of the compassion goal. Each spring, volunteers span across Louisville to commit selfless acts of compassion. Neighbors clean up streets and parks, collect goods for people in need, and repair homes. They read to students, mentor, assemble care packages – and much more. Though these good deeds happen in Louisville throughout the year, MGAD puts the needs and the benefits into stark focus, lifting citizens in need and setting a lasting tone of compassion for the entire city. MGAD 2018 supported our community with more than 205,000 volunteers and acts of compassion. You can help us do even more in 2019! Follow Mayor's Give A Day Week of Service and Join the Conversation!